Another Democrat trying to diminish the glaring Islamic anti-semitism in his own party and also detract from the seriousness and dangers of the highly threatening and vast global jihad. In this new video, Jamie Glazov analyzes Jussie Smollett's Get-Out-Of-Jail-Free Card, revealing how it's not what you do, but the world of equality that you seek to build, that matters. The New York Times, along with the Washington Post, MSNBC and a thousand less famous internet grifters had built Mueller's fan base out of a crumbling pedestal of conspiracy theories and wishful thinking. Like the fans of another FBI based show, the lefties had wanted to believe. But the media made them believe. 40 FBI agents; 2,800 subpoenas; 500 witnesses; 500 search warrants; 230 communication records, 50 phone taps, 13 foreign government intel requests. No collusion. No evidence of obstruction. The media LIED to you. Again and again and again. Who's the 'conspiracy theorist' now? 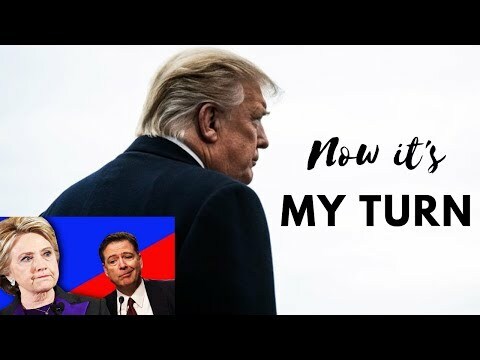 After VICTORY in Mueller Report, Now It’s Trump’s TURN to Investigate!!! A VINDICATED President Trump is preparing to strike back!!! Known as one of the most celebrated civil rights lawyers of his time, Morris Dees spent nearly a half-century building the Southern Poverty Law Center into one of the nation's wealthiest and best-known legal advocacy groups. With an endowment of about $471 million, an enormous sum in the non-profit world, it has won over donors with deep pockets.